A leading doctor offers answers on one of the most urgent questions of our time: How do we prevent the next global pandemic? The 2014 Ebola epidemic in Liberia terrified the world―and revealed how unprepared we are for the next outbreak of an infectious disease. Somewhere in nature, a killer virus is boiling up in the bloodstream of a bird, bat, monkey, or pig, preparing to jump to a human being. This not-yet-detected germ has the potential to wipe out millions of lives over a matter of weeks or months. That risk makes the threat posed by ISIS, a ground war, a massive climate event, or even the dropping of a nuclear bomb on a major city pale in comparison. 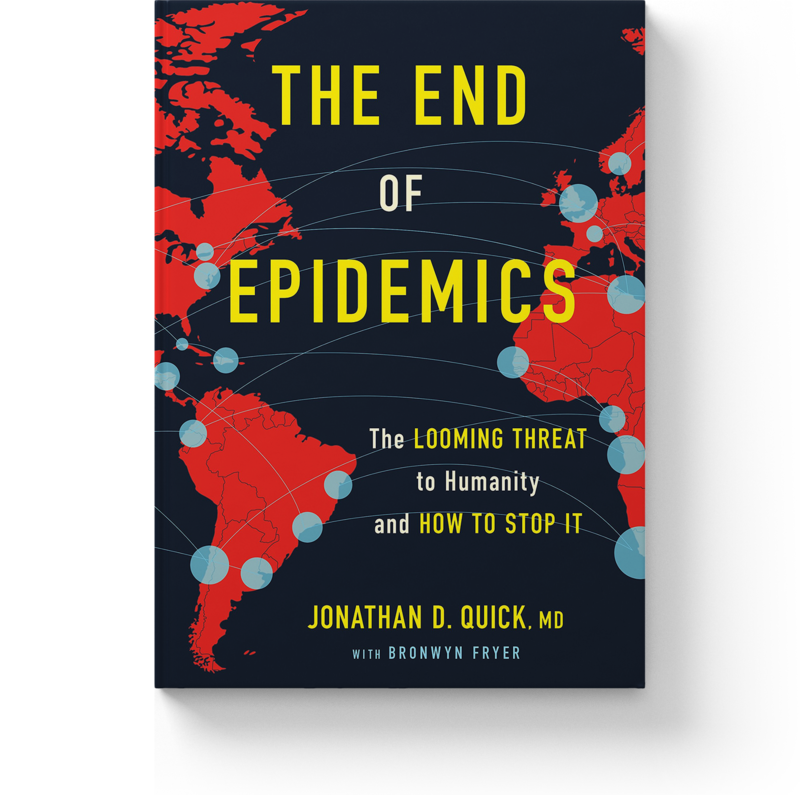 Practical and urgent, The End of Epidemics is Crucial reading for citizens, health professionals, and policymakers alike. Join Dr. Quick's email list.